ECU is five point favorite. Those are slimmish odds at home so pros think Tulane can win here. That is doable but it is a narrow path with Tulane's below average defense. Cornish/Daniels must handle ball decently and Paul needs to stay on court since Koka is on IR. Ideally Paul keeps playing like he has last three games and Tulane's chances to win improve. At end of day, it's still about the shooting. Go cold and forget it. It’s all about the defense. You can’t win giving up 80+ points. Shooting has been bad but we lose because we can’t stop anybody. Defense explains the losing but MD has made it clear he's not changing from almost exclusive man. Period. I'm taking factors as given that can change so that leaves us with reducing turnovers and improving shooting. (Rebounding appears fixed at least for now.) It's a very narrow path so I don't expect any big winning streaks. When we see Tulane players try to take charges five or more times per game (and not just one or two like today), we'll know something has changed defensively. I don't expect that soon either. Just my view. ECU is really bad. If Tulane can’t beat them, it’s hard to see any other win this season. They have twice as many wins as us. Moses Wood is playing very well for the second straight game. I still like our freshman. Maybe our future is better than we think. Definitely can’t be worse than the present. True. Cornish is as bad a defender as I have ever seen. Doesn’t move his feet at all. Also a turnover waiting to happen. We don’t make the plays down the stretch and lose a tight one. A 4 win season is more than possible. How many coaches survive this in year three? A plus 300 RPI. What is the over/under on transfers at year end? Could you blame them? Really? Be honest, of the three freshman, how many do you truly expect to be on our team next year? I mean, we're not allowed to suggest or recommend it, but can we lament it? Turnovers. Tulane had 16 and ECU 7. Tulane had 4 points off TOs and ECU 23. You lose by one point plus the Cornish charge at the end. Temple had a narrow loss at Houston tonight. Owls will be a tough challenge Saturday night in Devlin. I truly cannot guess what will happen coaching wise or roster wise after this season. Maybe Sehic and three frosh stay or any combination thereof. I guess/assume Daniels and Sudanese duo stay. Who knows? If ROE returns, I can't see Barrett staying and being third string again with Walker being eligible. Interestingly if Slater had stayed he'd be leading the Wave in minutes played. But he left because he didn't feel the love. I will only say we have better talent than a 4-16 team. Right on both counts. The turnovers are just horrific (especially by a redshirt senior) and Temple will be in a rage on Saturday. A loss to Tulane would destroy what’s left of their season. Interestingly if Slater had stayed he'd be leading the Wave in minutes played. But he left because he didn't feel the love. What makes you say that he'd be playing? Obviously MD had a reason he didn't play him, even when he was seemingly, at times, outperforming ROE last year. I suspect he'd still be sitting the bench behind Barrett. From what I've heard, MD apparently loves Barrett. I even wonder how the minutes would be shared if ROE were healthy right now; everyone assumes ROE would be playing the lion's share but that's just a guess. Barrett was injured and inexperienced last year, so we don't know. How much talent do you see (from a win perspective)? And if you think we have talent, why are we losing so much? How should we fix this? Because although Dunleavy won't change his system to adapt to his talent, he has repeatedly shown his willingness to change the talent to attempt to get better performance. He played Barrett eight minutes last night and not much lately. Earlier in the year, he benched Paul for long stretches extending over multiple games. Slater is simply a better point guard than Barrett/Cornish/Daniels. Dunleavy may be totally committed to his system but he also can read a scorecard. Over the past calendar year from the win at ECU in late January, 2018, Tulane is 5-25 and 1-17 in conference. Maybe it's me but that's hard to do. 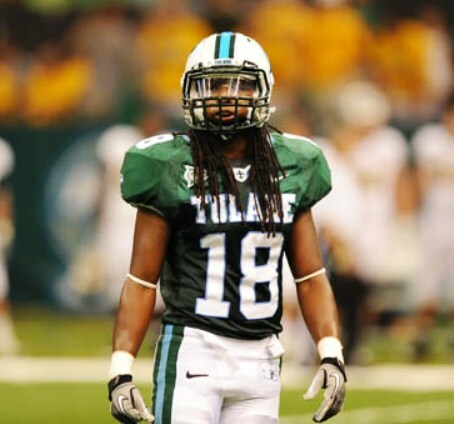 Yes I think Slater playing this year would have given Tulane a better record. But again this is just an opinion from the stands. I know it's a two season split but it's the most recent results. The 1963-64 team was 1-22 and 1-13 in conference. I went to those games too and Tulane was generally competitive. No doubt injuries have hurt Tulane especially at point guard. Turnovers are killing Tulane. Sehic's play is off from last season when he led AAC in shooting percentage. For whatever reasons, the three frosh's shooting in games has not been equal to their raw shooting skills. So shooting could flip (with the grace of God) tomorrow like a good batter getting out of an extended hitting slump. Interestingly at least recently, it has demonstrated it can be a decent rebounding team. That has been a pleasant and positive surprise. However as NJW and others have noted, this record is about the defense. For whatever reasons, this team has not played effective, consistent man to man defense in two and a half seasons. Moreover it is a slow team. Dunleavy is philosophically opposed to using zone extensively. Unless and until the team learns to play man well and/or the defensive play calling changes, I can't see Tulane having a winning record. However that doesn't mean it shouldn't hit at least double figures in wins by simply shooting to talent level and controlling turnovers like an "average" college team. I still think we'll see Tulane do that and upset a good team or two in its remaining games. Small consolation. Sure recruiting better talent always helps including coming back from injuries. Maybe next year's team will come together with no other changes. I don't know. However past performance is still best predictor of future performance if all input factors remain the same. I guess that's what Dannen has to decide. Maybe he's starting to wise up, or maybe his favorites aren't as clear as last year, but if he's changing personnel, that's at least an improvement from last year. Last year he kept playing players who were clearly struggling and sitting those who seemed to do well when in. I fully admit, I've checked out this year. Our games almost always conflict with stuff I have going on, at least the first half, so I have to make a concerted effort to watch. If it was an interesting product, I'd at least be watching second halves. As is, I check the score, see we're down big at half, and don't even turn it on. Friend, That shows you how deep the hole is now. When the committed have checked out then that leaves the true believers and we know those are a vanishing resource. I watched a little of Farleigh Dickinson game last night (maybe a 5pm EST tipoff in horrible weather.) They had more butts in the seats than Tulane does. I'm going to Temple tomorrow night and it would only be a mild surprise to me if Tulane pulled off an upset. (No I'm not deluded. I think this team is capable of a one off or two off surprise. Nothing more.) What would astound me is if we have more than 400 butts in the seats. How many players have transferred out under Dunleavy despite 2+ poor seasons? We just got a commit from our first top 100 player in 20 years, despite our worse season in 40 years. We've been terrible for 3 years, except for maybe 3 weeks last season. Nothing's different-we are terrible, I have no idea if we will improve anytime soon. But the game last night is time for the extra hysterics? And heck, there are some I wouldn't lament anyway.